This afternoon, someone came walking toward my front door with a bouquet of flowers. My friend brought them as a gift of appreciation, being grateful of my recent help to her. Did she encourage me with her kindness? Did she make me feel appreciated? There are many ways to build up someone. How can I encourage a friend tomorrow as I have been encouraged today? 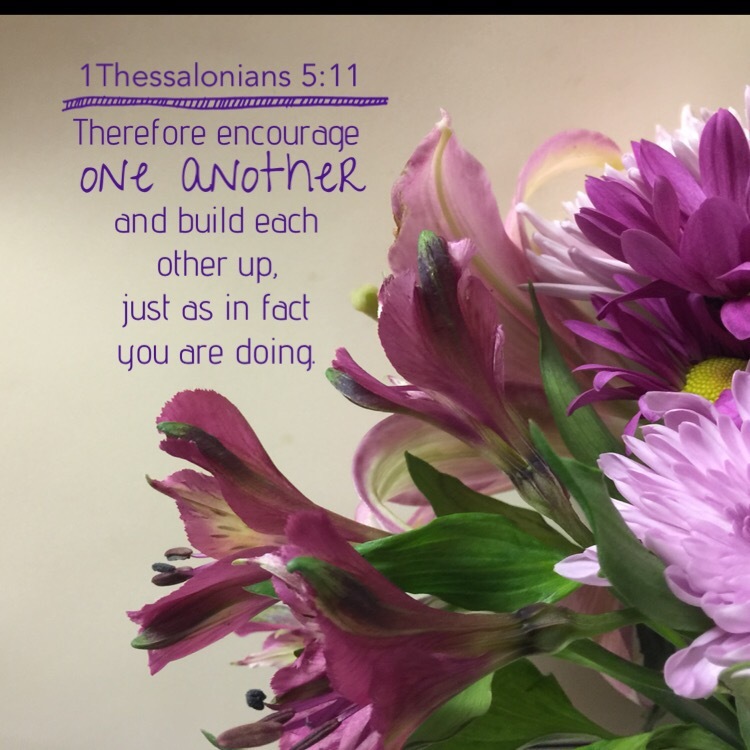 This entry was posted in Bible verses on photos, Inspirational photography and tagged encouragement.